Picking up precisely where its predecessor left off, Halloween II follows the same ill-fated characters as they encounter the knife-wielding maniac they left for dead in the first Halloween. It seems the inhuman Michael Myers is still very much alive and out for more revenge as he stalks the deserted halls of the hospital where his sister lays waiting. As he gets closer and closer to his terrified target, Dr. Loomis discovers the chilling mystery behind the crazed psychopath's savage actions. 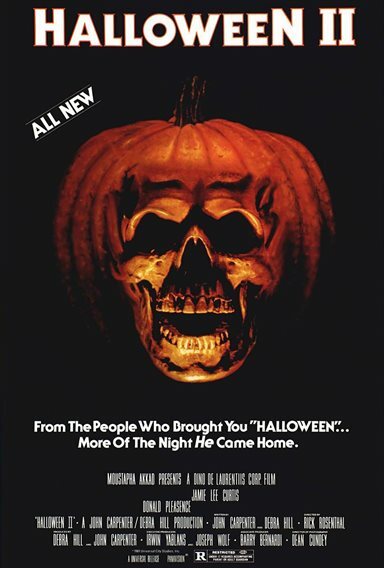 Download Halloween II in Digital HD from the iTunes store. Halloween II images are © Universal Pictures. All Rights Reserved.